Disney is 47 square miles with 4 fun filled theme parks, countless resort hotels, two waterparks, six golf courses and two shopping, dining and entertainment complexes. The Disney world area is visited annually by many tourist and visitors. Some visitors frequent the Orlando and the Disney area several times a year or stay for extended periods of time. While some home buyers look for a Disney vacation home due to work purposes or to be close to the theme parks and all the fun things to do in Orlando Florida. Disney vacation homes are in upscale communities offering spacious homes with an ambiance of peace, tranquility and fun. A dream vacation home! There are many Disney vacation homes that are in foreclosure or offered for sale by short sale. Wendy Morris not only sells luxury real estate and Disney vacation homes, as a CDPE she is an expert at selling short sale properties and foreclosures in the Disney area and throughout Central Florida. Disney vacation home prices have never been better and as cliché as it sounds, it’s a great time to buy Orlando Florida real estate. Homes today are extremely affordable compared to years past. 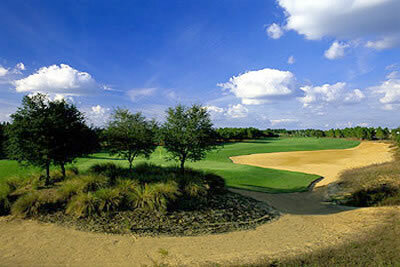 Some Disney vacation homes communities offers all the pleasures of outdoor life offering golfing, hiking and biking. For those looking to keep your family and loved ones safe, there are Disney vacation homes in gated communities. Whatever your taste may be living in a Disney vacation home area is like a vacation year round. Reunion Resort Reunion Resort Luxury Holiday Villas for sale at the world Class Reunion Resort in Orlando Florida . 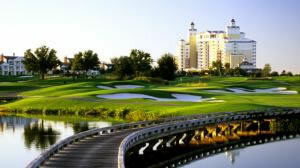 Located just off the interstate I-4 the Reunion Resort offers everything you will need for the vacation of a lifetime with championship Golf on its Three courses, access to the communal clubhouse , tennis , on site waterpark and its only minutes away from Disney world and all the other major Theme parks . Please contact Wendy Morris Realty to check availability and prices of our Reunion Resort Homes. At this time we have many Bank owned and Short sale property within the Reunion Resort and prices are now lower than construction when new. Never has there been such an opportunity to purchase homes in the Reunion Resort at such low Prices . Formosa Gardens Formosa Gardens is situated on the 192 close to the Walt Disney Theme Parks. A Very well known and exclusive community behind Closed gates. Homes are well appointed and the properties are very popular with renters and families looking to vacation in a secure and friendly environment. Formosa Gardens has been a very popular purchase particularly with British Clients seeking a higher calibre vacation home close to Orlando and all the Disney Theme parks .